The 2nd Annual Native Plant Landscaping - Table Topics Featuring small Question & Answer discussion groups on a variety of topics. 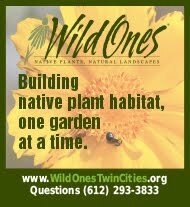 Have you or are you planning to use native plants in your garden and need help on plant selection and maintenance? Attend our 2nd annual Natural Landscaping Table Topics event featuring a variety of native plant topics and leaders. Participate in Question & Answer discussion sessions on your choice of topics. Hosts for each table are either professionals or have many years of experience. All participants receive $5 off purchase of a flat at our annual plant sale. Discussion of the basic principles of gardening for wildlife and the role of stewardship, with the monarch as an example species. Vicki has served as volunteer coordinator for the Nokomis Naturescape -- a 4-acre native plant installation, for 18 years. In this role she developed the Growing Monarch Habitat program which lead to the Minneapolis Monarch Festival, now in it's 6th year. 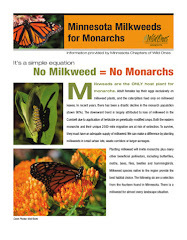 Both the Naturescape and her yard are certified Monarch Way Stations and National Wildlife Federation Backyard Habitats. 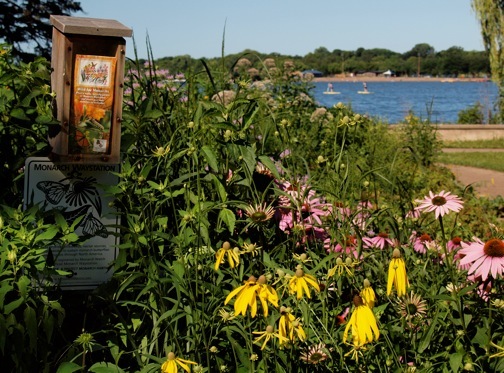 Discussion will be on landscaping with native plants that attract pollinators, including native bees, butterflies and moths. 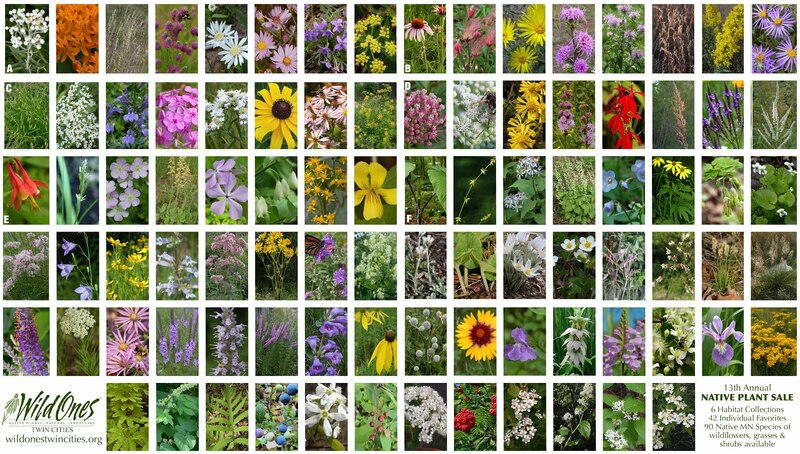 Heather has observed, photographed and researched the relationship of native plants and the pollinators they attract, recently published in her book, Pollinators of Native Plants. She is a member of Wild Ones and serves on the board of the new Prairie Edge chapter. Focuses on selecting native trees and shrubs of Minnesota that are versatile and suitable for natural landscaping in urban or suburban settings. Erik graduated from the University of Minnesota with a degree in Environmental Design and a Masters in Landscape Architecture in 1995. Shortly thereafter he was introduced to native plants. Erik joined Out Back Nursery & Landscaping in 1997 and began designing and installing landscapes using primarily native plants. He brings vision into his designs that merge ecological processes with horticultural practices. Native plants can make great boulevard gardens and add curb appeal too. This session will focus on plant selection that follows municipal guidelines while adding beauty to your yard. You will get a brief introduction into where to begin, and then we will talk about how to get there. Discussion will be centered around techniques presented in greater depth in his book Beautifully Sustainable. Douglas founded EnergyScapes in 1989 with the goal of preserving and enhancing the diversity of native habitat around our homes. He completed his MS in plant ecology at the University of Washington after his BS in Environmental Sciences at UW - Green Bay. Douglas draws on the rich experience of decades devoted to transforming lawn into meadows of the most appropriate native plants. Julia Vanatta, Native Plant Gardener, Member of Twin Cities Chapter of Wild OnesFocusing on plant selection for shade gardens along with formation of plant communities for natural woodlands gardens. Julia joined Wild Ones when she began to learn the importance of native plants to our ecosystem. She has transitioned her shady back yard garden into plant communities that flourish and is currently redoing her front yard into an oak savanna style garden. Since 2008, Julia has led historic walking tours of Nokomis Naturescape; also speaks on gardening with native plants to local garden clubs. Who are we? Chapter leaders will answer questions about our organization, plant sale, upcoming events and volunteer opportunities. Member library, book and merchandise store will also be open, check or cash only.